In 2014, the United States resettled 187 Syrians in cities across this country. In a civil war that has ravaged the country since March 2011, one can’t even consider this a significant effort in supporting the innocent civilians fleeing across their border. What began with peaceful protesting led by pro-democracy groups gave way to the targeting and killing of civilians based on either ethnic background, religious identification, or political designation by both the Syrian Government and elements of the Islamic State of Iraq and the Levant. 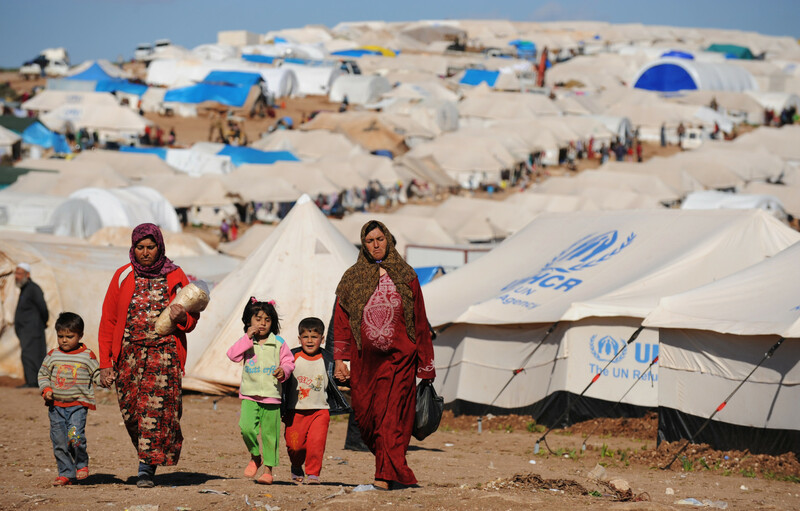 Today, there are more than 9.5 million Syrians who have been forced to flee their homes because of the violence. More than 3 million of those have been taken in by neighboring countries, and everyday I hear NPR discuss the ongoing global refugee crisis. Everyday. Despite advocates’ request that the U.S. should resettle 100,000 Syrians, last Thursday the United States announced that next fiscal year it would welcome only 10,000. This is a step forward, don’t get me wrong, but a disappointing one. It’s only a REACTION to the crisis, not ACTION to address the root causes of the crises in Syria and other places experiencing mass displacement because of violence. So what can the United States do to focus on PREVENTIVE ACTION rather than REACTION? The Atrocities Prevention Board (APB), while not a perfect answer, will help the United States move towards actively stopping mass atrocities before they occur, and ultimately be a cost-effective measure that protects our national security interests. This board should be made a permanent part of the U.S. government. The primary purpose of the Atrocities Prevention Board is to coordinate a whole of government approach to preventing mass atrocities and genocide. direct all relevant departments and agencies to conduct an evaluation and review of existing capacities for anticipating, preventing, and responding to genocide and other mass atrocities. President Obama followed this up in April 2011 by declaring the prevention of mass atrocities and genocide a core national security interest and core moral responsibility (Presidential Directive 10, or PSD-10). He eventually established the Atrocities Prevention Board in April 2012. The APB is not a permanent body within the U.S. government. Without Congressional support to make it so, it will dissipate when Obama leaves office. Recently, the Senate Foreign Relations Committee unanimously passed a Department of State Authorization bill that included a provision which authorizes the codification of the APB. This, however, is only the first step in ensuring APB longevity. While not a perfect interagency collaboration and with the understanding that much of its work is classified, individuals and organizations across the movement to end genocide feel that in order to stop mass atrocities before they occur, the APB must become a permanent body. The United States would then have a lot more opportunity to take preventive action rather than spending time and money on reaction.